Here are some of the images and comments send in. Debbie Collins ❤️ massive thank you to all at the bubblegum club for an amazing experience. Thanks again for such an amazing day all our family and friends can't thank you enough for everything you's do. 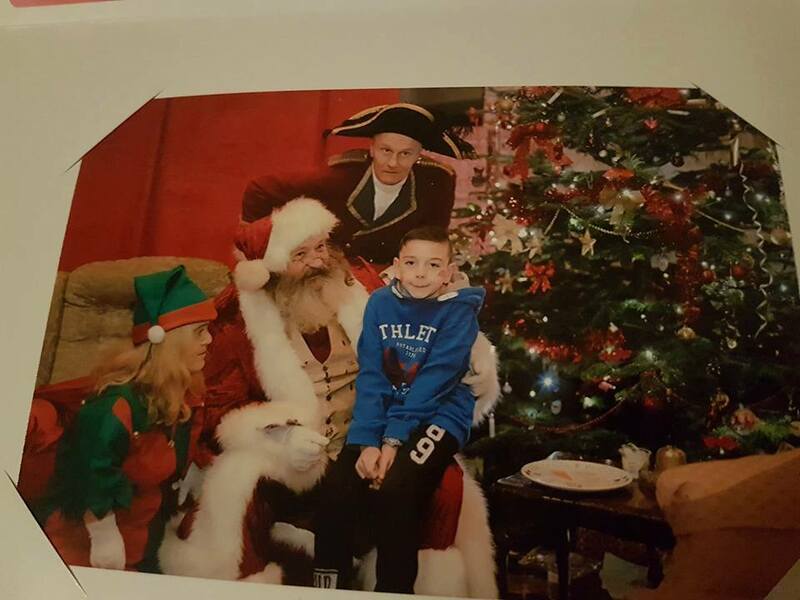 Thank you all for an amazing day, you truly are fantastic people, my little guy absolutely loved santa,normally he wouldn't interact with people,today he was amazing. Guys, wow!!! 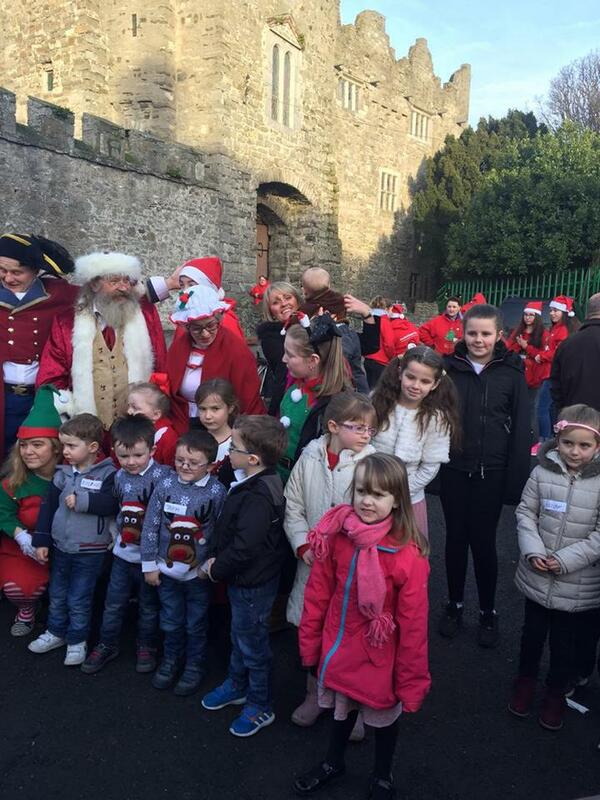 Just back from the winter wonderland in drimnagh castle today. AMAZING!!! We had the best day ever. Everything was perfect, your helpers there today were top class. Nothing was too much for them. And as for Santa, Mrs. Claus and the elves- all fantastic. First I heard about you. My son has just been invited to your autism friendly winter wonderland. What wonderful people you are. wanted to say a huge thank you for the experience my son (Jack) and myself had at the winter wonderland, all the staff and the volunteers were brilliant, it was a day we will never forget........ thank you so much. ​The most wonderful kindest people one and all, they do fantastic work and are so helpful and happy. Paul with Santa. A big thank you to the Bubblegum Club for organising and holding today for children with Autism. Best and most realistic Santa I've seen. Thank you so much for a wonderful day can't thank you all enough for the work you's do absolutely amazing. Great day was had thank you for having us. A lot of very special moments were created at winter wonderland Drimnagh Castle, amazing news to see it returning to this magical venue. 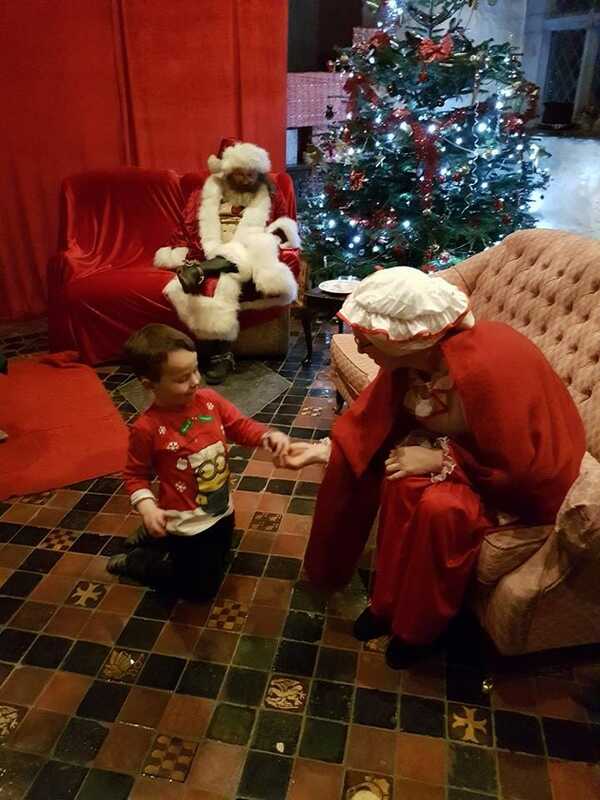 This year is our 21st year of the Winter Wonderland and if you were lucky enough to be picked by your hospital nurse/consultant we will be in Drimnagh Castle on Friday 16th, Saturday 17th and Sunday 18th of December. We hope you will enjoy yourself and have a safe journey - see you there. This is written By Alison Chloe's Mother. My name is Alison and I have two little girls named Ruby (9) and Chloe (7). 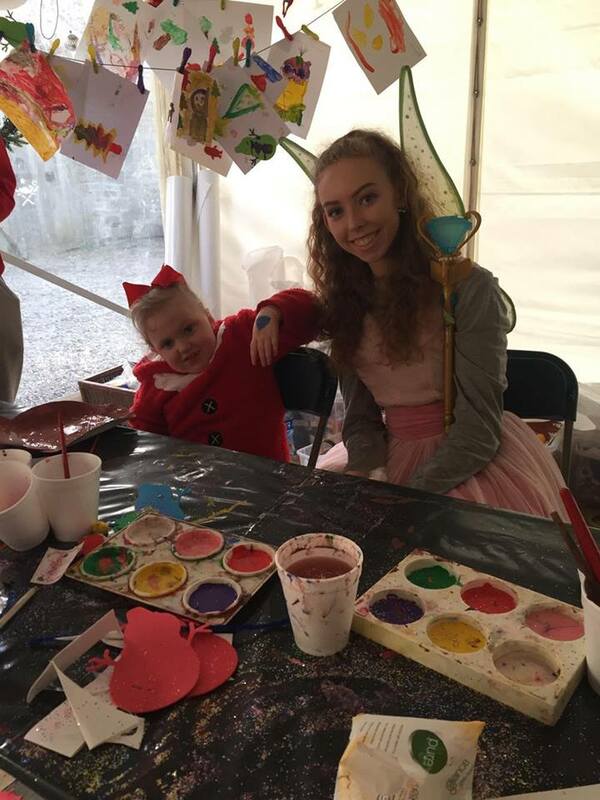 Chloe is the only person in Ireland suffering with a rare disease called Congenital Hemidysplasia with Ichthyosis Erythroderma and Limb defects. 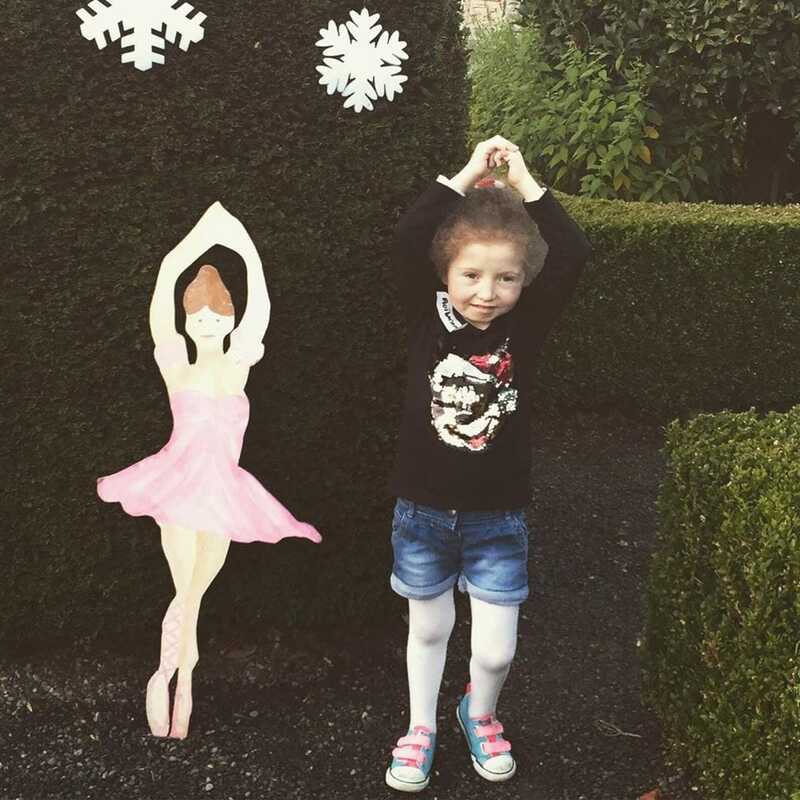 Chloe has complex medical needs and physical disabilities from head to toe . Chloe requires baths, creams and bandages to be applied twice daily and a wheelchair among other equipment . Chloe is the bravest little girl in this world . It is heartbreaking to watch my little girl suffer in pain and struggle with everyday tasks that many take for granted 24/7 and worst of all I cannot help her. However Chloe is a determined , clever and a beautiful girl who never gives up and tries so hard to live a full life. 3 weeks ago my mam phoned me to tell me that she was made aware of " The Bubblegum Club " I had no knowledge of them at all . I decided to investigate further on the internet and found contact details for the Bubblegum Club. I spoke to Mr Peter Harris the founder and CEO and for the first time in years I felt excitement . Peter talked to me about my situation and he delved into my two daughters interests and likes etc ... ( magic dolls, pink cars, shopping, bouncy castles and a fascination with kids electric cars (as she is unable to ride a bike due to skeletal defects ). I would also like to say a huge thank you to Peter and his brother David for all their input and help to ensure our day was possible . 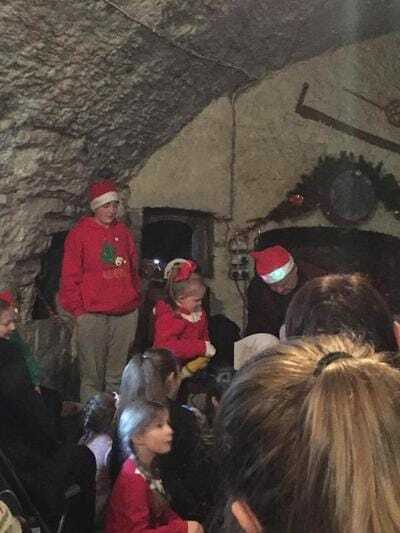 I really appreciate David's commitment to make sure ill kids have an extra special day out to always remember. 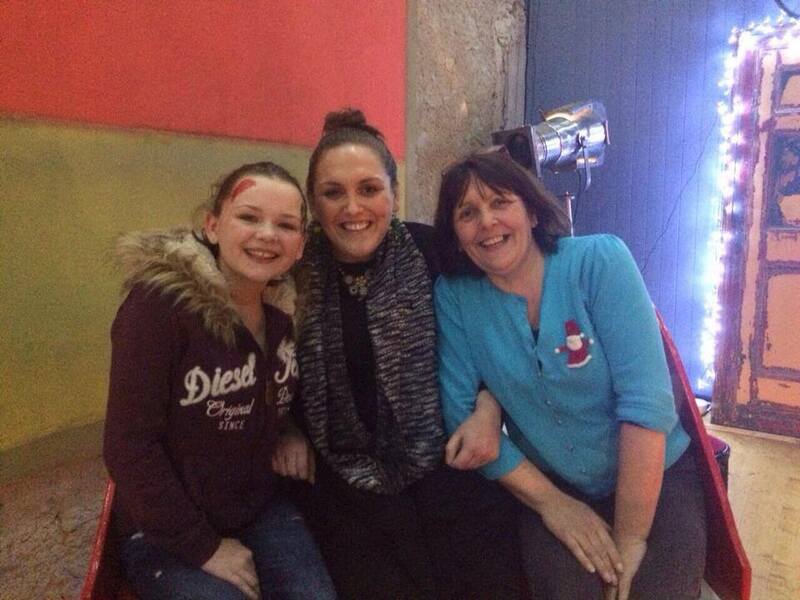 How about a private party for Ruby and Chloe with all the family and friends in Tallaght Adventure World. A special thanks goes out to Mr Dermot Richardson for all he did. Saturday morning Ruby, Chloe and I met Peter in the Avon Ri. Both girls where gobsmacked !!! Then Peter handed them a key to stay in the Avon Ri for 2 nights .... And take Monday off school ... a special word of thanks to Sinead at Avon Ri . HMS Host Ireland and all their staff that made this magical day possible (they have collection boxes in all their outlets) I am very grateful for their generosity . Then Peter gave us each a gift card each for €500 to spend as we pleased at Dundrum shopping centre . At this stage the experience was surreal. I have never seen my girls faces so shocked and amazed. To really have an impact Peter then suggested we go out to Tayto Park while waiting on their party in Tallaght Adventure World Saturday evening ... A big thank you to Emma Hanford in Tayto Park. As were going to the car to Tayto Park, Peter said "wouldn't it be nice to go in a pink car"? Then, a huge pink hummer limousine pulled up and we got in. A special thanks to AAA Limousines and Dave O'Donohoe . We had the nicest/most patient driver for the day named Doug ,,,, driving through Blessington village we noticed familiar faces at the bus stop .... Nana , Auntie Caroline and all the cousins were waiting for us .... The excitement was increasing. 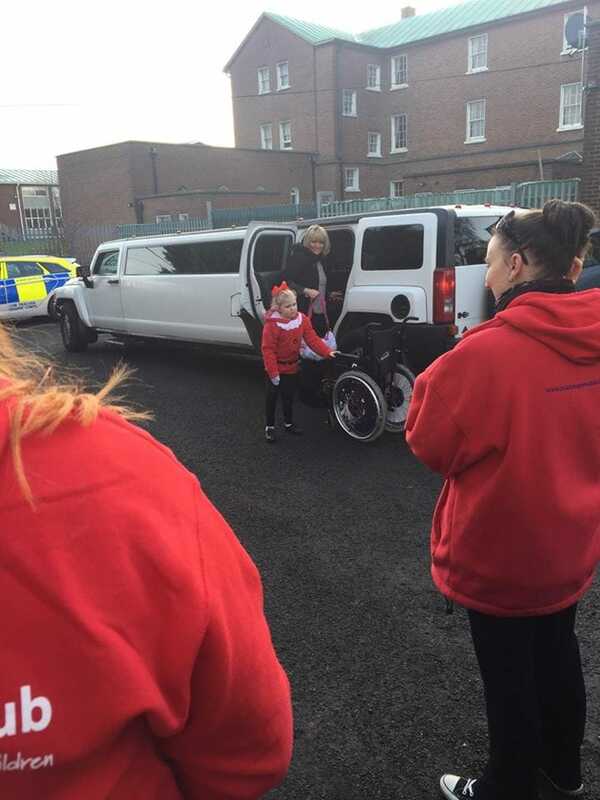 Then we got back into the pink hummer limousine with Doug and headed to Tallaght Adventure world, on our arrival crowds lined the path cheering and clapping , Chloe waved out the window she felt so important. They played away and then Dermot presented Ruby with a new mobile phone , made possible thanks to Mr William Mallon at Career Projections Chloe was presented with a laptop and I was presented with the biggest bouquet of flowers . After the party we returned to the Avon Ri for our first night . We had an amazing day and it had such a positive impact . Sunday morning there was a knock on the door, as I opened the door I froze ,,, there was a bright pink electric Mini Cooper for Chloe , a dream come true for her. I am so grateful to Mr Richie Faulkner for getting this for Chloe it is what she always dreamt about. After driving around in her car on the grounds of the Avon Ri we went for a swim. The remainder of the day Chloe sat in her new car . On Monday (Peter had arranged a day off school☺️) we decided to go to Dundrum shopping centre with nana. Ruby and Chloe each got their hair done and it was like supermarket sweep as they both purchased everything they wanted. It was really lovely to have had such a wonderful experience filled with happiness especially when many days are hard days with sadness. I admire Peter Harris for his dedication to helping kids in need of a break away from their illness and for the enormous generosity he shows. He is such a genuine person with a great nature and I cannot express how grateful I am to him for giving us a magical few days that we will never forget. It was an unbelievable experience and I thank all the people involved from the bottom of my heart. Our coming of age - 21 yrs in existence this year. The Bubblegum Club started in 1994 and in December 1995 was their first Winter Wonderland for terminally ill children, this year the Winter Wonderland comes of age (so to speak) December 2016 it will be 21 yrs old. Who remembers the first one ? 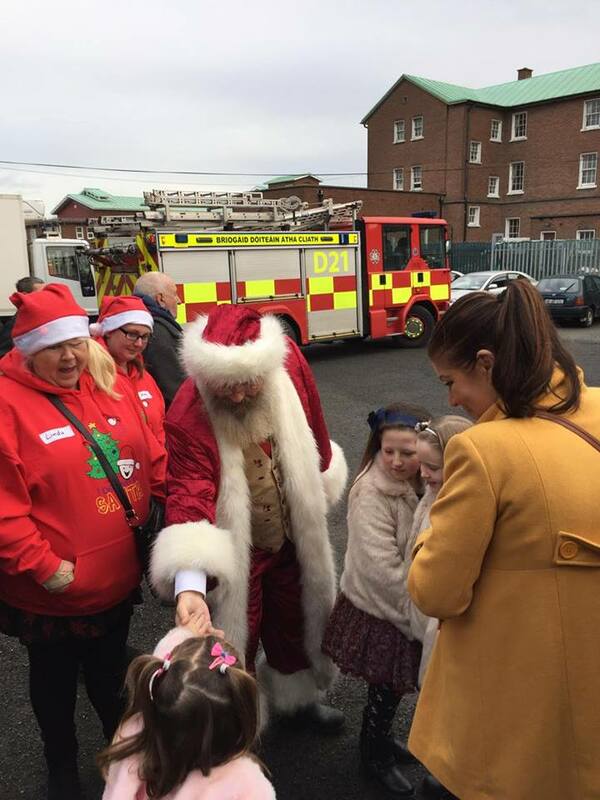 Since 1994 we have put a smile on the faces of over 20,000 children no mean feat for an organisation that gets no help from the Government / HSE / Lottery etc, we depend on contributions and help from the public. Nobody, Director's / Volunteer's / Helper's / Doctor's or Nurse's has ever been paid, we do it because we want to - to give something back and bring a smile to a face at least once in the lifetime of a child (which is usually short). Do you want to do something different this year? Something that makes you feel good inside and always has a positive result? No, I’m not talking about an exercise regime or a new fad diet; and this won’t cost you anything - Curious then read on! This year volunteer your time and help a charity. Maybe devote some time and organise a fundraiser, this will bring your community together and raise awareness for the Bubblegum Club and the work we do. Join one of the already arranged events and get a sponsorship card and T-shirt. We all need to make an extra effort to help. Have you made your New Years Resolution – No! Do something you can be proud of, help sick children have a bit of fun. 100 Ho Ho's for charity. 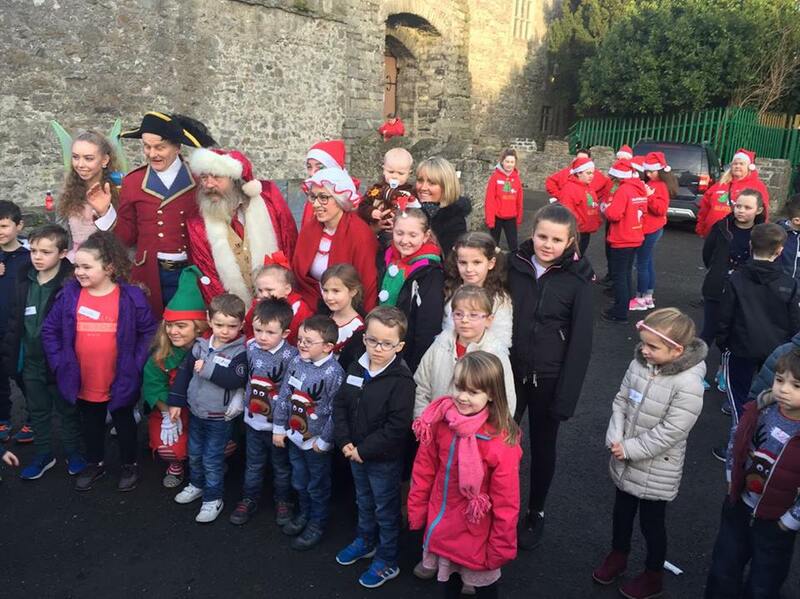 On the 21st of November 2015 at least 100 people dressed as Santa Claus will climb Croagh Patrick for charity. 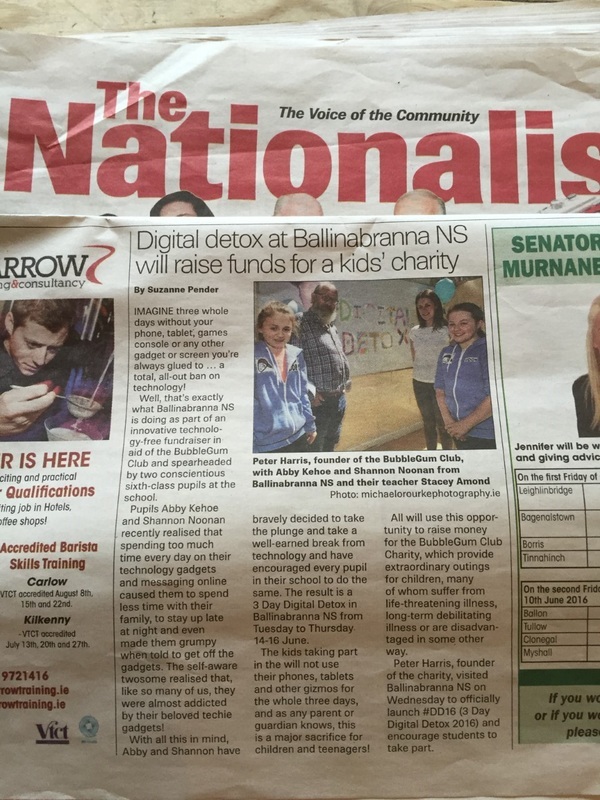 Beneficiaries are, The Bubblegum Club, Cystic Fibrosis and Mayo Mountain rescue. Only 49 sleeps to 2015 Winter Wonderland! Thank you to our sponsors and fundraisers for this years Winter Wonderland!! 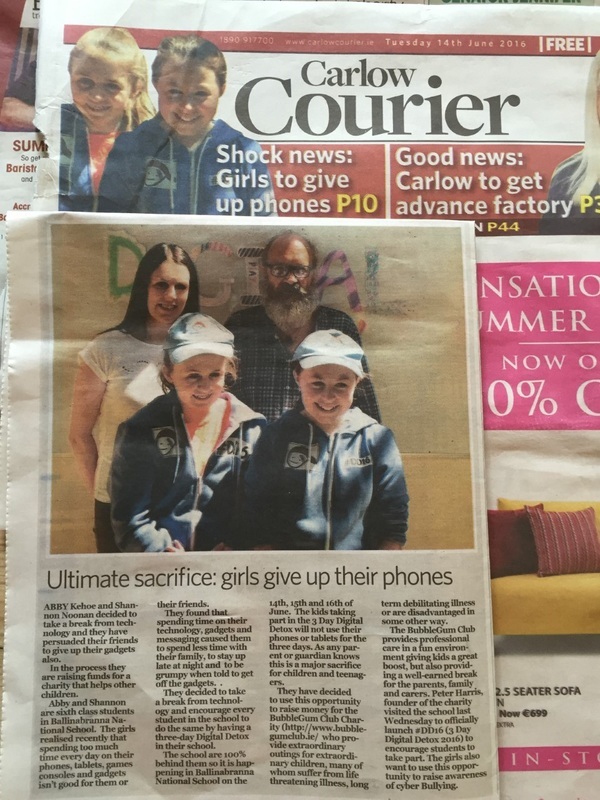 Barbara O'Donovan and Catherine Keenan, who together with the help of their own Santa's helpers ran this years Dublin Mini-Marathon. 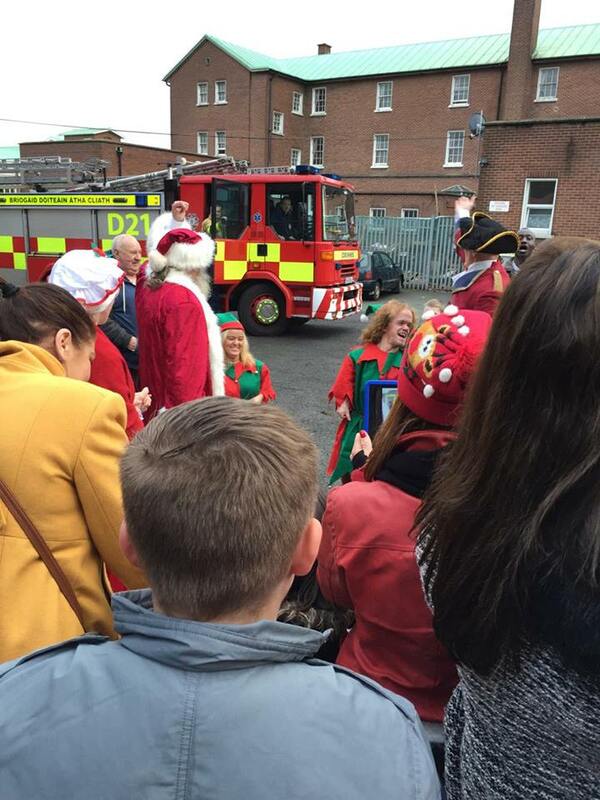 All helpers have made Santa's 'nice' list! 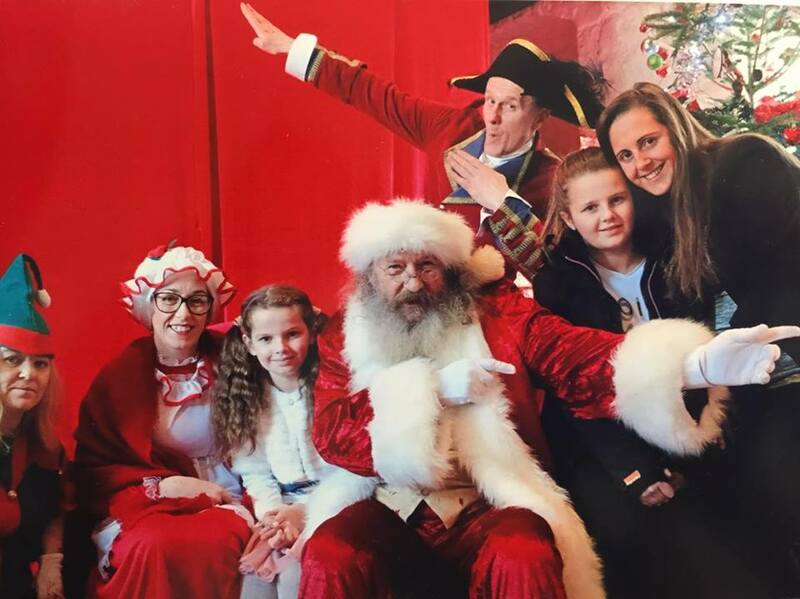 "100 Ho Ho's for CF and Bubblegum"
One of the organisers friends has two kids who have Cystic Fibrosis, one of which was a lucky beneficiary of an amazing dream day last year, courtesy of the Bubblegum Club. So long story short they want to give something back, and are organising an event on the 21st of November, which involves getting 100 people to climb Croagh Patrick in a Santa suit (minimum a hat). Each person must raise €250 minimum. Mayo Mountain Rescue will be present on the day, as they are a voluntary organisation we will be also donating to them. 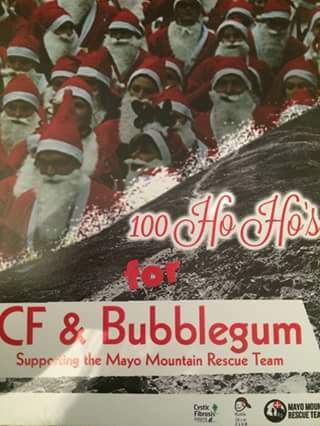 The plan is to give 25% to Mayo Mountain Rescue and the rest to be split between CF and Bubblegum. I have been in touch with Ruth Cunniffe in Mayo Mountain Rescue and Nuala McAuley in CF Ireland, all are on board with what we are doing. 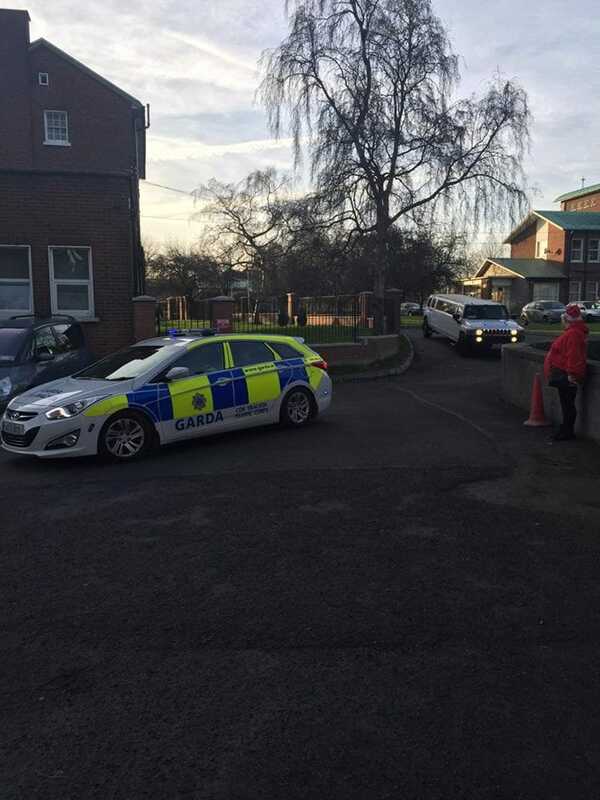 We have completed and submitted the relevant form to the gardai. A central bank account for the fundraiser will be set up with AIB, all 'Santas' will lodge their sponsorship into this account. There will also be an online sponsorship option available via ifundraise and all funds from ifundraise.ie will be be transferred into this central account. Once the event is over the named charities will receive the cheques. If you know anybody that would like to take part and be a Santa, please feel free to contact Margaret at: magscath@yahoo.com. Christmas 2015 new venue this year. Woo Hoo Ho, ho. ho. 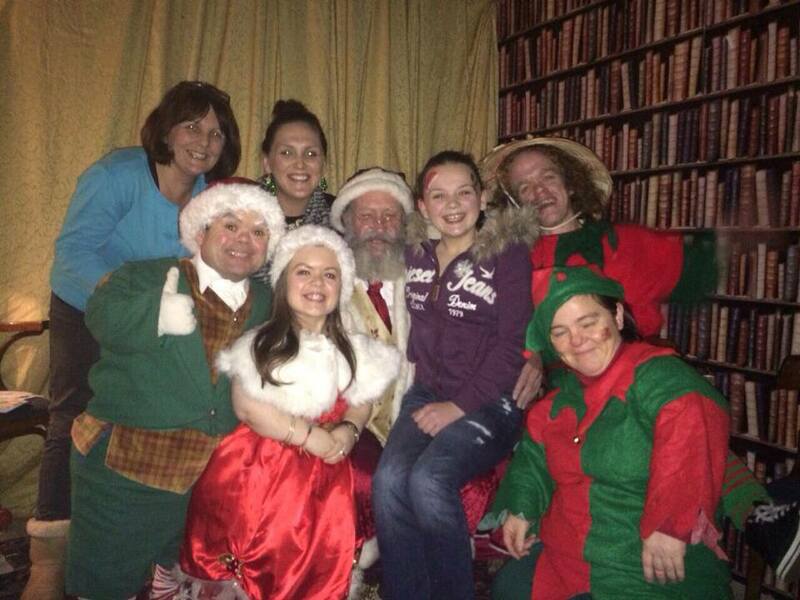 Only 8 weeks to go till Christmas 2015 and Santa is back with us. that they will be down again to meet the kids of The Bubblegum Club again. for the 21st year in a row. It’s all over for another year, as the end of 2014 draws to a close. The Bubblegum Club finishes it’s 20th year in existence putting a smile on the faces of over 25,000 children. 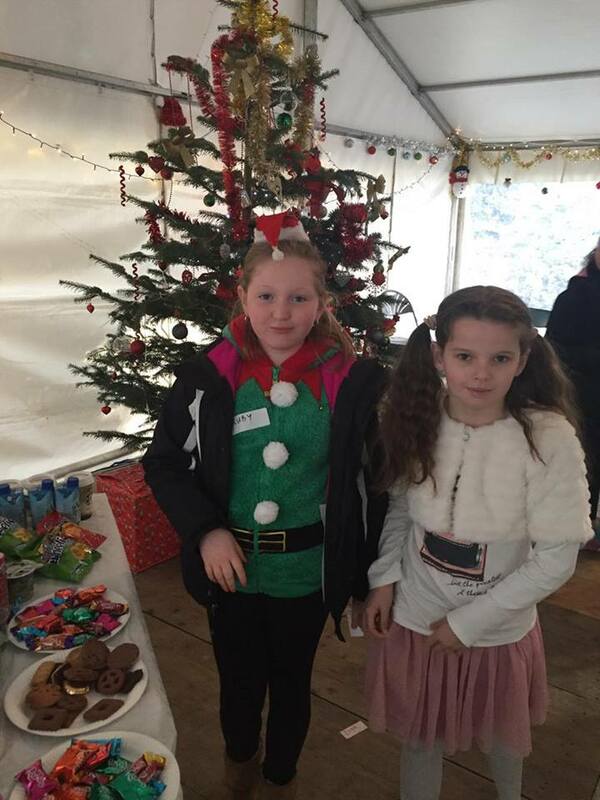 The Winter Wonderland (which has been running since 1995) was a resounding success, with in excess of 200 happy and mesmerized sick children attending, we were delighted we could make it a day to remember. 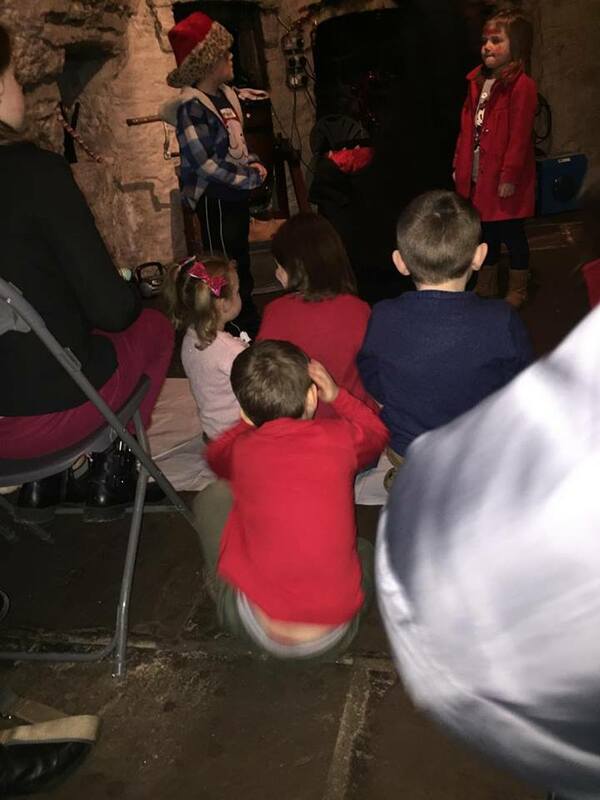 Unfortunately one group had to cancel and it gave us the opportunity to slot in Conor and extended family for an amazing Christmas Party, which was sponsored this year by Dunnes Stores. 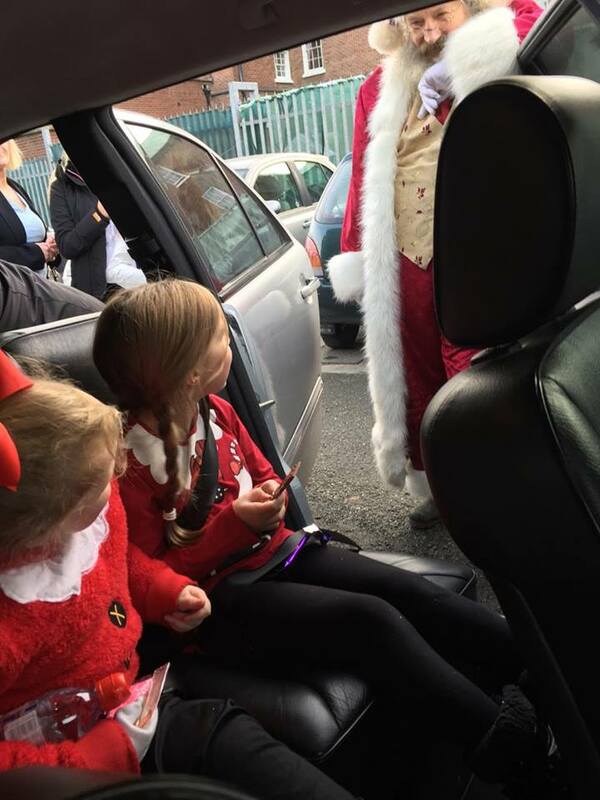 All the children and adults were entertained by Santa and Elves to a stage show, this is something we intend to incorporate each year into the Winter Wonderland. 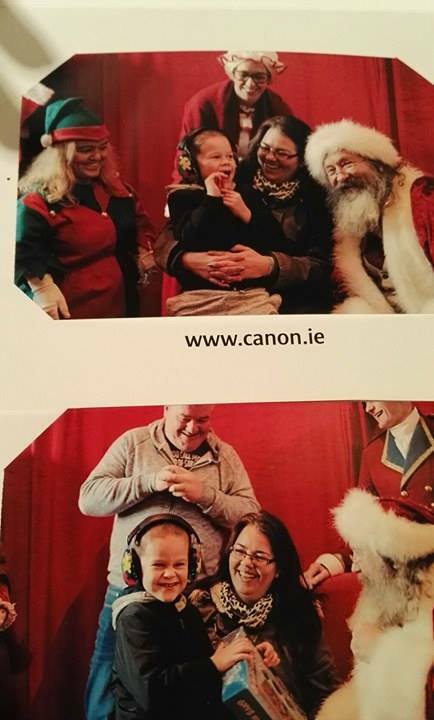 Everybody has the amazing Rebecca Daly and Family (See photos below) to thank for raising the funding of €5,000 to cover the basic running cost of the Winter Wonderland. Well done to everybody for making it the best Winter Wonderland ever. A special word of thanks to the owners of the venue (Mount Druid) - Adrian and Deirdre Murphy. We do hope all that attended had a good experience and we would like to hear from you about how your child, family found the event. Thanks from the children of The Bubblegum Club for making a difference to their lives. A very Happy Christmas from Santa and the Elves (Bubbles, Tinsel, Fairy Princess and Rasher) and all at The Bubblegum Club see you all again next Christmas.